Now through November 24, guests can take advantage of the holiday sale and receive all of the following offers‎: free unlimited open bar, a free specialty dining package, 250 minutes of free WiFi, $50 towards shore excursions in each port per stateroom and Norwegian’s Friends & Family Sail Free offer (allowing the third and fourth guests to sail for free on select sail dates). The offer is worth up to $2,600 in value and available to those who book select 2017/2018 sailings in an oceanview, balcony or mini suite on or before November 24. To top it off, Norwegian is offering almost 200 different sailings to choose from during the Black Friday Sale giving every guest the opportunity to book their unforgettable cruise vacation. With the holiday spirit in the air, Norwegian will also be extending an array of offers to guests. Extended now through November 30, Norwegian’s Holiday Bonus Bundle offers $100 of onboard credit* on select holiday sailings over the Thanksgiving, Christmas and New Year’s holidays. Norwegian’s Havana Nights offers cruisers who want to explore the vibrant history of Cuba $50 in free onboard spending money* when they book a new cruise to Cuba now through November 30 featuring an all-inclusive onboard experience on Norwegian Sky from Miami or Norwegian Sun from Port Canaveral. Norwegian’s Distinctive Voyages is available through November 30, providing cruisers the opportunity to sail to their dream destinations. On select nine-day or longer cruises, guests will receive five distinct offers: 120 minute phone call package, 250 minute Internet package, $50 USD credit per port shore excursion, up to $200 USD in air credit and $100 USD hotel credit. * The offer is also combinable with Free at Sea. Norwegian’s popular Free at Sea promotion will be extended through November 30. This signature value-added offer provides guests who book a new three-day or longer sailing in an oceanview, balcony or minisuite category stateroom with the opportunity to select their preference of two free choices from five spectacular onboard amenity offers†, including free unlimited open bar, a free specialty dining package, $50 towards shore excursions in each port per stateroom, 250 minutes of free WiFi, or Norwegian’s Friends & Family Sail Free offer that allows the third and fourth guests to sail for free on many 2017 and 2018 sail dates. Inside staterooms, as well as Norwegian’s Studio staterooms for solo travelers, can choose one free offer. For those who enjoy the luxury life at sea can book a cruise in a suite or The Haven by Norwegian® and enjoy all five free amenities†, providing up to $2,600 in added value to their cruise. This holiday season, families and couples alike can cruise into a Hawaiian paradise as Norwegian’s Free at Sea Hawaii offer has also been extended through November 30. Guests who book a new cruise vacation aboard Pride of America, the only ship in the world that can sail seven-day inter-island cruises in Hawaii, have the freedom to selectone of five offers†* to enrich their cruising experience, including a free one-night pre-cruise hotel stay with an option to select reduced airfare starting at $399 from select gateways, a free specialty dining package, free pre-paid service charges for the first and second guest in the stateroom, free $50 per port shore excursion credit per stateroom, or Norwegian’s Friends & Family Sail Free, allowing the third and fourth guests in each stateroom to sail for free on many 2017 and 2018 sail dates. Guests who book a suite aboard Pride of America can enjoy all five offers. *Offer not applicable to Sail Away Categories (categories IX, OX, BX or MX). †*Pride of America offer available for bookings for cruises through April 27, 2019. 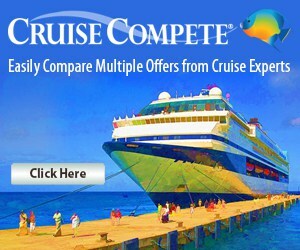 Offer is not applicable to categories IX, OX, BX(Sail Away Categories). Cruises must be booked more than 30 days prior sailing, when selecting hotel option; if choosing hotel option with air option cruises must be made more than 60 days prior to sailing. Offer valid for Waikiki Marriott Resort-city view room. In the event that the hotel scheduled to be used in package is unavailable, for any reason, Norwegian Cruise Line reserves the right to substitute the hotel included in package. One night pre-hotel offer is available on reservations with 4 guests or less. If choosing 1 night pre hotel option, reservation must be made more than 30 days prior to sailing.